English is the third most spoken language in the world. ESL classes are English as a second language courses that teach English grammar and vocabulary including listening, writing and speaking skills, for beginners, intermediate and advanced levels. They may teach business English or about certain professions such as law or engineering. ESL courses can be taught online or in a classroom setting. Courses are even suitable for speeding up the cultural integration of students in American or other English-speaking societies. 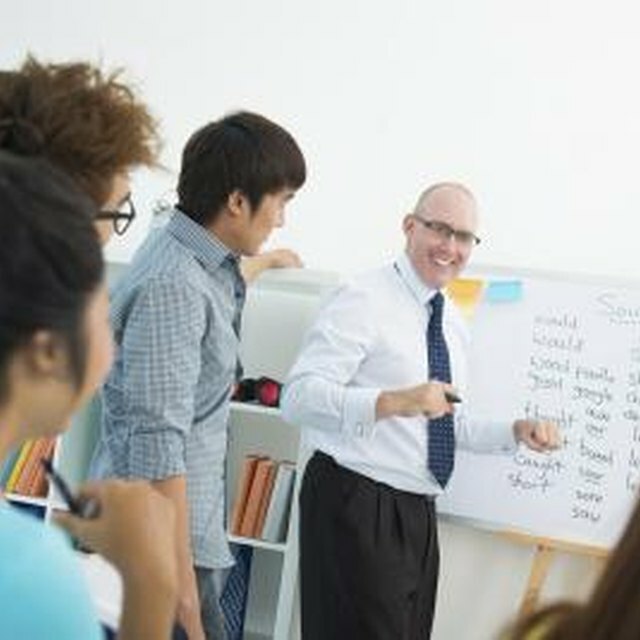 ESL course content can include a 20-point starter lesson plan for beginners, during which beginners will learn 20 main essential points from subject pronouns to jobs vocabulary and numbers, for example. Intermediate lessons can include lessons on common American themes such as hurricanes, the Vietnam Veterans Memorial and American food. Advanced-level classes will teach on more advanced subjects like science and technology and will develop from studying situational dialogues to denser passages of text. 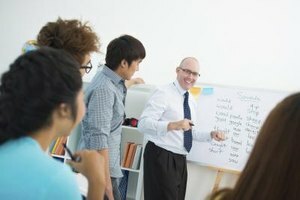 ESL courses are taught in every major city in the United States. Although there is no main course directory book for finding ESL courses, each course will generally be advertised on the Internet or at your local college, university or English school. There is an online directory of English-language schools in the United States at englishinusa.com, most of which will teach ESL courses. ESL.com has an online directory of ESL courses. A wide range of ESL student materials can of course be found at Amazon.com. Other more specific websites for finding ESL books include ESL.net and Ardvaark English Forum.com. Free online resources are many, such as at ESL Partyland or eslgold.com. There are even free online ESL classes for you to take at Learn English Online or at ESOL courses -- Free English Lessons Online. Teachers become qualified by taking a TEFOL course (Teaching English to Speakers of Other Languages) and may have a bachelor's degree in English or another relevant subject. TEFOL courses, also known as TEFL courses, are available online, for example, at teflcourse.net or locally by courses organized around the country by TEFL providers. 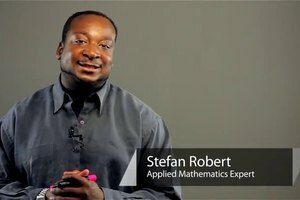 There are many online sites for getting ESL teaching materials, most of which are free; for example, eslsite.com or usingenglish.com. Alternatively, Amazon sells many books on ESL teaching and a top 10 of the best starter teacher books is available on Great Resource Books for English Teachers online. McGregor, Lucy. "ESL Classes for Adults." Synonym, https://classroom.synonym.com/esl-classes-adults-7953331.html. Accessed 18 April 2019.